Dr. Harper joins a number of consumer watchdogs, vaccine safety advocates, and parents who question the vaccine's risk-versus-benefit profile. She says data available for Gardasil shows that it lasts five years; there is no data showing that it remains effective beyond five years. This raises questions about the CDC's recommendation that the series of shots be given to girls as young as 11-years old. "If we vaccinate 11 year olds and the protection doesn't last... we've put them at harm from side effects, small but real, for no benefit," says Dr. Harper. "The benefit to public health is nothing, there is no reduction in cervical cancers, they are just postponed, unless the protection lasts for at least 15 years, and over 70% of all sexually active females of all ages are vaccinated." She also says that enough serious side effects have been reported after Gardasil use that the vaccine could prove riskier than the cervical cancer it purports to prevent. Cervical cancer is usually entirely curable when detected early through normal Pap screenings. Dr. Scott Ratner and his wife, who's also a physician, expressed similar concerns as Dr. Harper in an interview with CBS News last year. 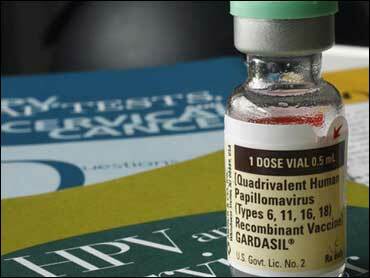 One of their teenage daughters became severely ill after her first dose of Gardasil. Dr. Ratner says she'd have been better off getting cervical cancer than the vaccination. "My daughter went from a varsity lacrosse player at Choate to a chronically ill, steroid-dependent patient with autoimmune myofasciitis. I've had to ask myself why I let my eldest of three daughters get an unproven vaccine against a few strains of a nonlethal virus that can be dealt with in more effective ways." Merck and the Centers for Disease Control and Prevention maintain Gardasil is safe and effective, and that adequate warnings are provided, cautioning about soreness at the injection site and risk of fainting after vaccination. A new study in the Journal of the American Medical Association found while the overall risk of side effects appears to be comparable to other vaccines, Gardasil has a higher incidence of blood clots reported. Merck says it continues to have confidence in Gardasil's safety profile. Merck also says it's looking into cases of ALS, commonly known as Lou Gehrig's Disease, reported after vaccination. ALS is a progressive neurodegenerative disease that attacks motor neurons in the brain and spinal cord. Merck and the CDC say there is currently no evidence that Gardasil caused ALS in the cases reported. Merck is also monitoring the number of deaths reported after Gardasil: at least 32. Merck and CDC says it's unclear whether the deaths were related to the vaccine, and that just because patients died after the shots doesn't mean the shots were necessarily to blame. According to Dr. Harper, assessing the true adverse event risk of Gardasil, and comparing it to the risk of cervical cancer can be tricky and complex. "The number of women who die from cervical cancer in the US every year is small but real. It is small because of the success of the Pap screening program." "The risks of serious adverse events including death reported after Gardasil use in (the JAMA article by CDC's Dr. Barbara Slade) were 3.4/100,000 doses distributed. The rate of serious adverse events on par with the death rate of cervical cancer. Gardasil has been associated with at least as many serious adverse events as there are deaths from cervical cancer developing each year. Indeed, the risks of vaccination are underreported in Slade's article, as they are based on a denominator of doses distributed from Merck's warehouse. Up to a third of those doses may be in refrigerators waiting to be dispensed as the autumn onslaught of vaccine messages is sent home to parents the first day of school. Should the denominator in Dr. Slade's work be adjusted to account for this, and then divided by three for the number of women who would receive all three doses, the incidence rate of serious adverse events increases up to five fold. How does a parent value that information," said Harper. Dr. Harper agrees with Merck and the CDC that Gardasil is safe for most girls and women. But she says the side effects reported so far call for more complete disclosure to patients. She says they should be told that protection from the vaccination might not last long enough to provide a cancer protection benefit, and that its risks - "small but real" - could occur more often than the cervical cancer itself would. "Parents and women must know that deaths occurred. Not all deaths that have been reported were represented in Dr. Slade's work, one-third of the death reports were unavailable to the CDC, leaving the parents of the deceased teenagers in despair that the CDC is ignoring the very rare but real occurrences that need not have happened if parents were given information stating that there are real, but small risks of death surrounding the administration of Gardasil." She also worries that Merck's aggressive marketing of the vaccine may have given women a false sense of security. "The future expectations women hold because they have received free doses of Gardasil purchased by philanthropic foundations, by public health agencies or covered by insurance is the true threat to cervical cancer in the future. Should women stop Pap screening after vaccination, the cervical cancer rate will actually increase per year. Should women believe this is preventive for all cancers - something never stated, but often inferred by many in the population-- a reduction in all health care will compound our current health crisis. Should Gardasil not be effective for more than 15 years, the most costly public health experiment in cancer control will have failed miserably." CDC continues to recommend Gardasil for girls and young women. The agency says the vaccine's benefits outweigh its risks and that it is an important tool in fighting a serious cancer. Dr. Harper says the risk-benefit analysis for Gardasil in other countries may shape up differently than what she believes is true in the US. "Of course, in developing countries where there is no safety Pap screening for women repeatedly over their lifetimes, the risks of serious adverse events may be acceptable as the incidence rate of cervical cancer is five to 12 times higher than in the US, dwarfing the risk of death reported after Gardasil."